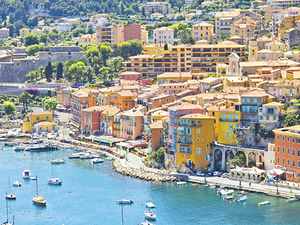 With mild Mediterranean climate and an abundance of natural beauty, Nice and the charming French town of Villefranche-sur-Mer are both favorite destinations for the discerning traveler. With a deep natural bay that provides for ships of all sizes a strategic location for Italy and more, this area has become popular for many of Europe's elite. 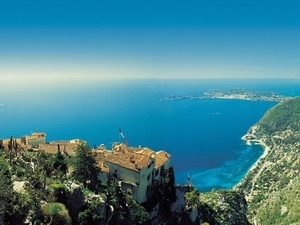 This means that sightseeing, shopping, and sampling the famous cuisine are just a few of the attractions and our Nice Excursions will offer these and more; we offer wonderful excursion options such as our Villefranche The French Riviera Sightseeing Excursion and our Villefranche Countryside and Wine Tasting Excursion. Air-conditioned and licensed round-trip transportation from your Villefranche Nice cruise tender pier! Escape the cruise ship shore excursion crowds and enjoy unique sights of Villefranche and surrounding area! See the most you can on a half day excursion! See the highlights of Medieval Eze, scenic Roman ruins La Turbie, and the glamour of Monte Carlo in this quick-paced, small group tour. Air-conditioned and licensed round-trip transportation from your Villefranche excursion meeting point! 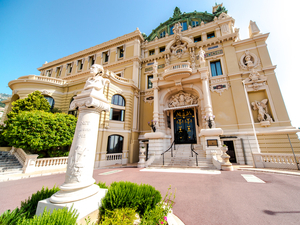 Visit the Rock of Monte Carlo with an additional 2 hours 30 minutes of free time! Stop for photos in Casino Square and ride along portions of the Monte Carlo Grand Prix! A full day of French Riveria's best sightseeing! See Medieval Eze, Roman ruins at La Turbie, the glamour of Monaco PLUS have free time to explore Monte Carlo on your own Villefranche Excursion. See ancient Roman ruins La Turbie! 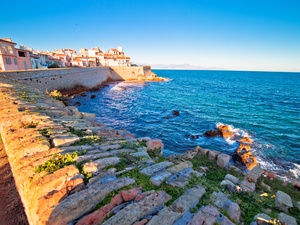 View charming seaside Antibes during a driving orientation! Spend the whole day seeing the very best sites of the French Riviera on an exclusive guided small group excursion. Air-conditioned and licensed round trip transportation from your Villefranche cruise tender pier! Enjoy this full-day excursion from Villefranche cruise port to some of the most luxurious towns in the area - Monaco, Eze, and Nice. You'll have free time in each town to enjoy their amazing history, architecture, food, and shopping. Air-conditioned and licensed round-trip transportation from outside your Villefranche cruise ship tender pier! See the city of Colline du Chateau! 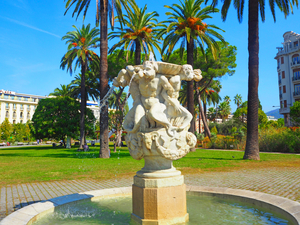 Enjoy a drive along the Promenade des Anglais! See incredible architecture in various styles! Drive through the exclusive Cimiez neighborhood! 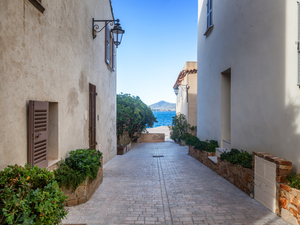 Explore during free time in the Old Town! Get in and out, seeing the highlights of the French Riviera's largest city, Nice! Quick paced, small group excursion. Air-conditioned and licensed round-trip transportation from your excursion meeting point! Enjoy free time in artistic St Paul de Vence! 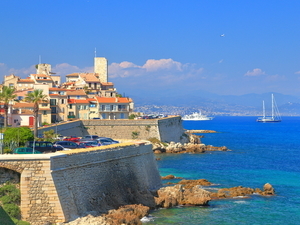 This quick paced, small group tour will get you in and out of three of the most popular destinations on the French Riviera - Cannes, Antibes, and St. Paul de Vence. Air-conditioned and licensed round-trip transportation from your Villefranche cruise ship tender pier! Visit the ultra-chic Saint-Tropez and the nearby architecturally designed resort town of Port Grimaud. Small group guided Villefranche Excursion! Air-conditioned and licensed round-trip transportation from outside your Villefranche tender pier! 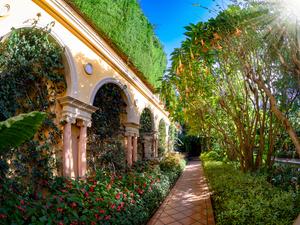 Visit three of the French Riviera's most popular museums during this self-guided, art-infused afternoon excursion. Walkthrough and perfume making demonstration in Grasse! 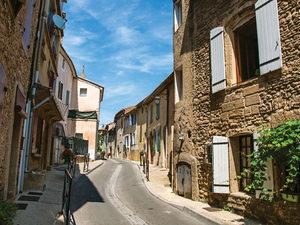 A great way to enjoy the French Provencal Countryside with perfume, medieval towns, and local traditional wine tasting.